Gives you quick and direct access to all of the charger's functions, significantly simpler to use than non-touchscreen balance chargers. Storage mode keeps your Li-ion/LiPo/LFP batteries in optimal condition when not in use. 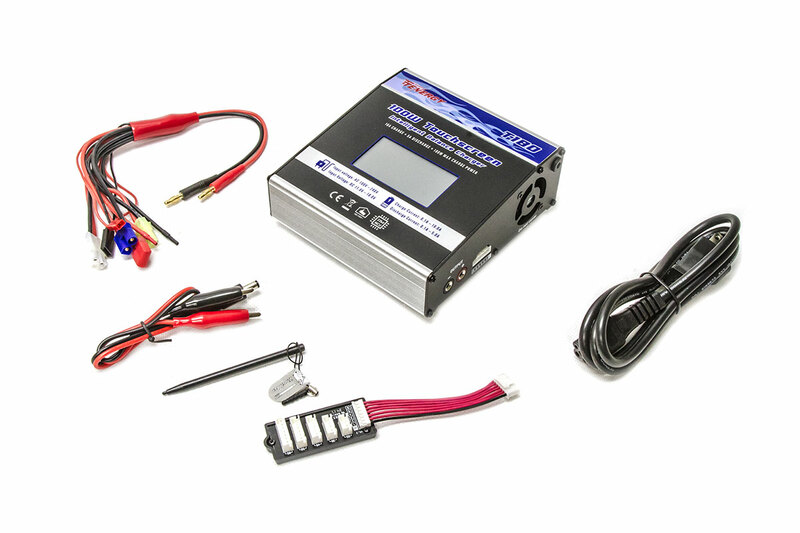 Cycle function refreshes your NiMH/NiCd batteries to deliver maximum performance. Lets you view your battery's charge/discharge characteristics in a graph, and shows the status of each cell at a glance. Allows up to 10A charging current / 5A discharge current.